Deepak Keshwani is an associate professor of biological systems engineering at the University of Nebraska--Lincoln. Originally from India, Keshwani came to the U.S. in 1998 to pursue a college degree at UNL. As an undergraduate, a mentor pointed him to a career in research and teaching. After receiving his doctorate in biological and agricultural engineering from North Carolina State University, Keshwani returned to his alma mater as a faculty member. His research interests are in the area of bioprocess modeling. He provides leadership to his department’s undergraduate teaching and advising mission and teaches courses ranging from first-year through graduate level. He coordinates the Justin Smith Morrill Scholars, a campus-wide co-curricular student program focused on civic engagement and critical societal issues in food, agriculture and natural resource systems. He coordinates the UNL mechanized systems management undergraduate degree program. He is involved in numerous university-wide student success initiatives including mentoring a first-year learning community. 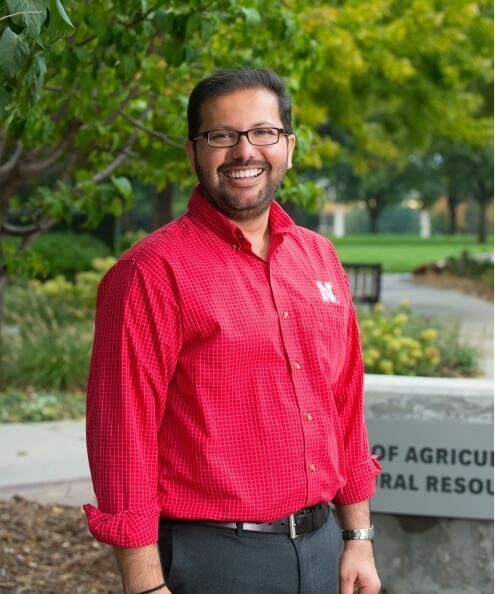 In August 2017, Keshwani was appointed a faculty fellow by the UNL College of Agricultural Sciences and Natural Resources in recognition of his work in the area of student retention and success.